I just made up this blend this morning – and it smells awesome. Before I begin – if you have the extra dollars you can purchase Thieves Blend from Young Living, which is a premium oil that is a little pricey, for a very small (tiny) bottle – but many of their oils you can use internally. I buy oils in large quantities, and I make up so much of this blend in the winter – and use daily – so it’s not something I would do, but an alternative for you to consider. I make this blend up every winter, and beside all the therapeutic benefits – it smells heavenly during the Holidays. Smells like Christmas season – especially with the Cinnamon & Clove. As legend has it – Four Thieves Recipe was created from research on a band of thieves who were miraculously protected from the black plaque in the 15th century. While robbing from the dead and dying plague victims, they were protected and did not contract the dreaded disease. Their secret formula was a blend of essential oils that they rubbed all over their bodies. When they were captured they released the secret formula in trade for a more lenient sentence. NOW oils are very inexpensive (and easy to find) and I have been using them for 15 years, when I make out of the ordinary blends, where I don’t want to buy large quantities. 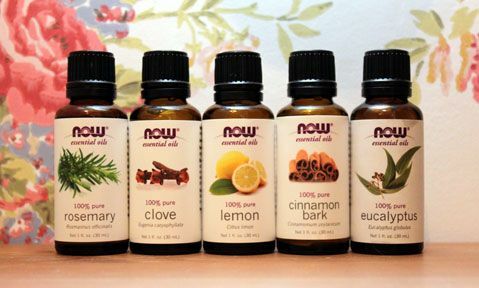 To purchase all the oils should not be over $30.00 but you will have enough oil to be able to make this spray for years and years. I have also included a link for Wholesale Supplies Plus where I order a lot of my bottle supplies. They are very inexpensive, and you can order small bottle of oil – freight is paid for purchases of $40.00 – you can’t beat that. You have a few choices as far as a base for the Thieves Recipe – you can use Vodka -80 proof is ( 40% alcohol & 40% water), or go with a higher proof Vodka, which is what I do. You can also use Isopropyl alcohol or Everclear which is a pure and 100% natural grain alcohol 180 proof. It is comparable to a perfume alcohol premium choice for room sprays – a little harder to find (a liquor store or upscale market will probably have it) and runs about $18.00 a bottle. – but 100% natural. If you decide to make a natural hand sanitizer – it’s equal parts of Aloe-vera gel and 100 proof vodka . Pure and Natural. Look at it this way – I would much rather use something on my skin that I can drink than use a product with chemical ingredients. Several of the large hand sanitizer plants have been closed due to dangers. Remember these chemicals go directly in to the bloodstream. It is very scary. Mix in a dark brown glass bottle with a dropper. You can pick up the bottle & dropper at Sprout’s or Wholefoods or probably at a health food store. Should not be over $1.50 at the most. For a 4 ounce container for a Room Spray: use 1-1/2 teaspoons of the blend and fill with the Alcohol. I like a strong spray – but that’s just me. For a hand sanitizer: use 10 or 12 drops per 3 or 4 ounces. You can also had 4 or 5 drops to a nice oil (like Almond or Olive) and massage a little in to the bottoms of the foot, as well as a small amount in the chest area. Both of these companies have good pricing and you can buy essential oils in smaller sizes. Wholesale Supplies Plus pays freight on orders of $40.00. Also love Bulk Apothecary. They usually ship the same day as the order is placed but do not pay freight. For my customers convenience, if you are placing an order with me for products, I can purchase the bottles of the oil for you, and bill you the actual cost (will include receipt). I have a great little hometown store out by me and they have great pricing for NOW oils in 2 ounce sizes. I will advise pricing before purchasing – just let me know. As well as they have the brown glass bottles with dropper that runs about $1.50.